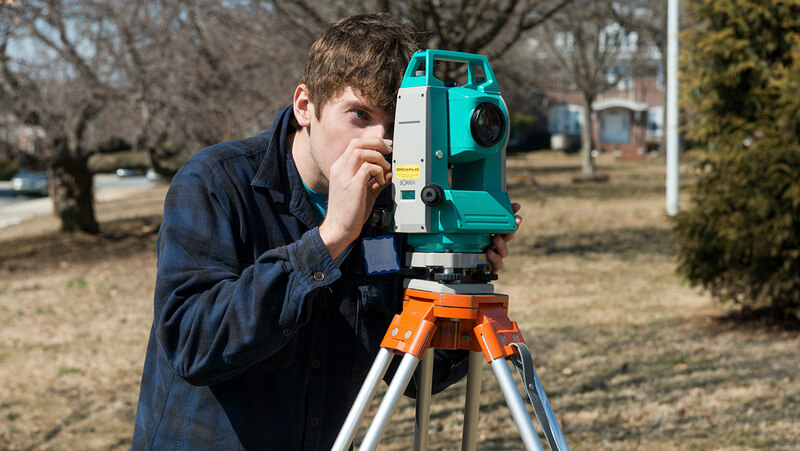 Combine the technical and business dimensions of a civil engineering career. The dual MCE/MBA program provides you with the necessary skills to broaden your engineering knowledge while gaining a detailed understanding of the business environment. Although it does not preclude the possibility of engineering research (when you pursue the engineering master’s degree with thesis), the dual degree can be achieved with a non-thesis master’s degree in engineering. Degree requirements for the (MCE) Master of Civil Engineering can be found on the School of Engineering website. Your application to the dual degree program is considered first by the engineering program. If you are accepted, you are automatically accepted into the MBA program as well. The only standardized test required is the Graduate Record Exam (GRE). The GMAT is waived. The dual degree program counts 15 engineering credits toward the MBA program so that the dual degree requires 62 credits rather than the 78 required if pursuing each degree separately. In order to take advantage of this credit savings, you must be admitted to the dual degree program before completing either the engineering or MBA program.